Present state: The station building and east bound platform are still extant. The station building is now a private house. 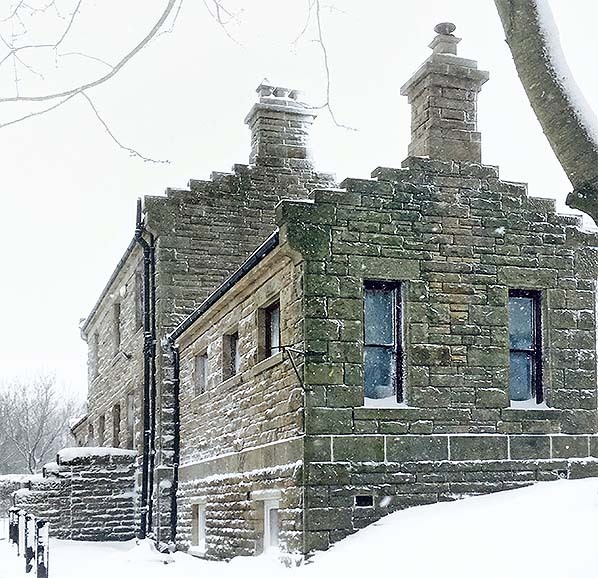 Notes: Ironworks were established at Consett in 1841 but in the 1860's Consett needed better access to the iron town of Middlesbrough and the neighbouring Ironstone of the Cleveland Hills. There were some circuitous rail links between the two towns but a direct route was required. The Browney valley provided the ideal setting for such a line. In February 1861 construction of the North Eastern Railway's Lanchester Branch commenced and it officially opened the following year. It was initially a single-track line with stations at Consett, Knitsley, Lanchester and Witton Gilbert. The Lanchester Branch opened up mining possibilities along the Browney Valley. In 1870, Lord Lambton who owned land in the valley accepted an application to search for coal and the following year coal was found. The NER doubled its track in anticipation of colliery demand and collieries soon opened along the line at Bearpark, Malton, Lanchester and Langley Park. 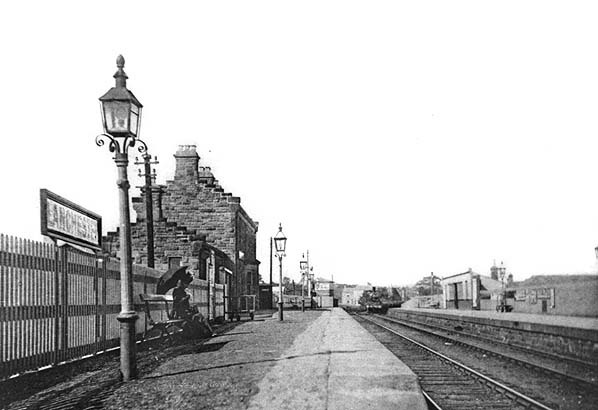 An additional station was added at Aldin Grange in 1883 (renamed Bearpark in 1927). As well as a number of substantial stone bridges spanning the River Browney there was a 700 foot long viaduct 1.5 miles east of Knitsley Station. 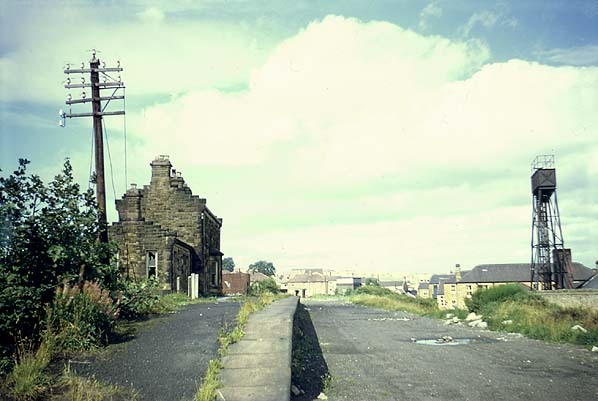 The viaduct was built mainly of wood towering 70 feet above the Knitsley Burn. By 1915 the viaduct was in need of major repairs and a decision was made to turn it into an embankment using colliery slag and old ballast. Passenger numbers were always light and the Lanchester Branch was an early closure with the last passenger trains running in 1939. The stations were occasionally used by Miners' Gala excursion trains after that date, the last recorded excursion being 17.7.1954. 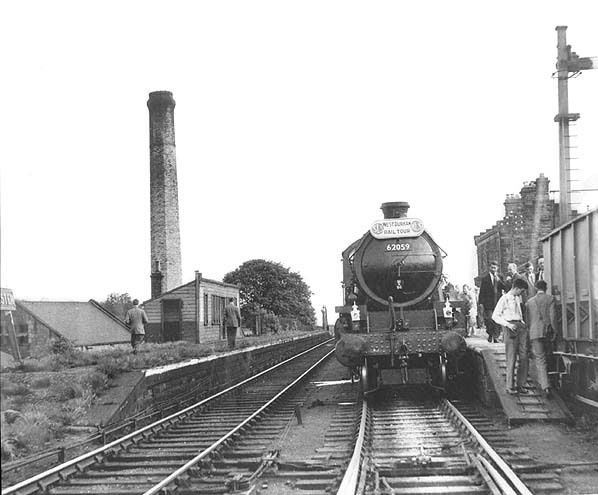 Goods traffic continued until 1965 when Lanchester Station was the last on the line to lose its goods service. The branch closed entirely on 20.6.1966 when minerals were diverted to road transport. All Consett steelworks rail traffic was rerouted via Annfield plain and South Pelaw at this time. The track was lifted in 1967. 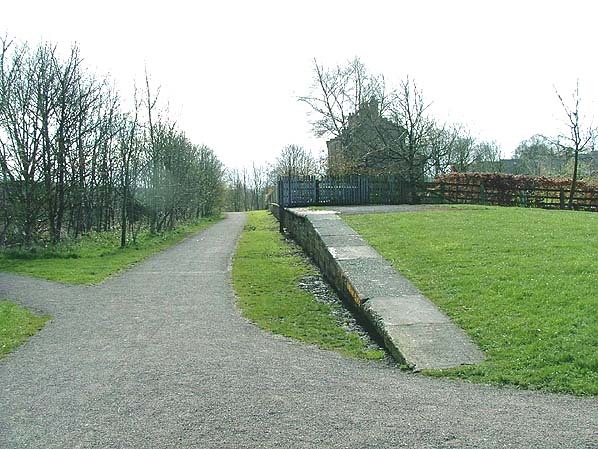 The 12 mile long branch line has now been converted into The Lanchester Valley railway path and cycle way running from Lydgetts Junction just south of Consett to the Broompark Picnic Area near Stonebridge. Knitsley Station first closed on 1.2.1916, reopening on 30.3.1925. 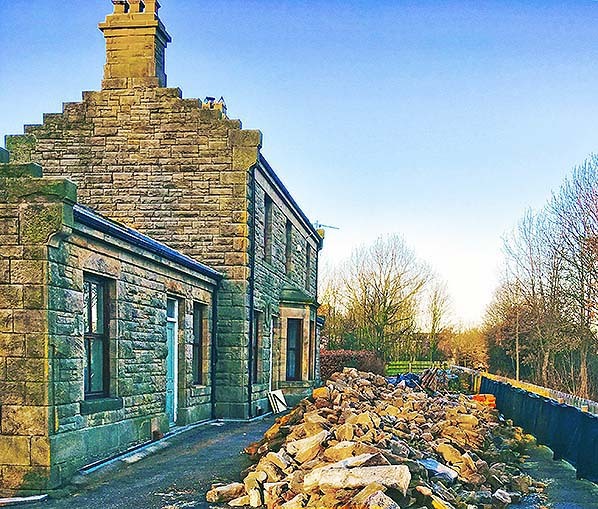 Lanchester station building in winter 2018. The platform is on the far side. Lanchester station looking north west along the platform in 2018.